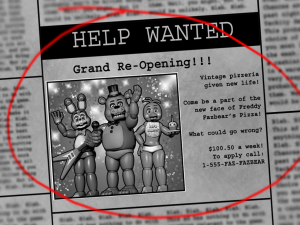 Vintage pizzeria given new life! 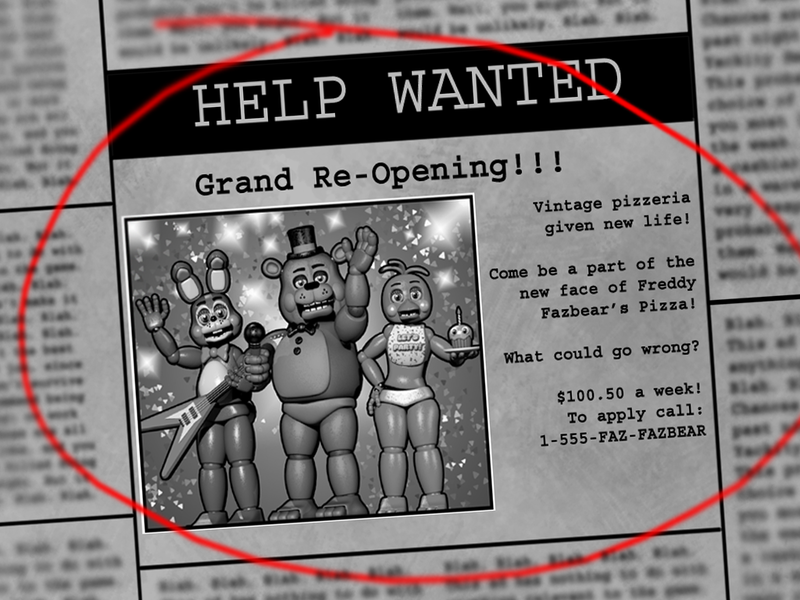 Come be a part of the new face of Freddy Fazbear’s Pizza! 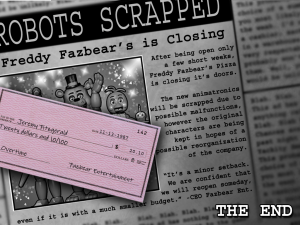 After being open only a few short weeks, Freddy Fazbear’s Pizza is closing it’s doors. 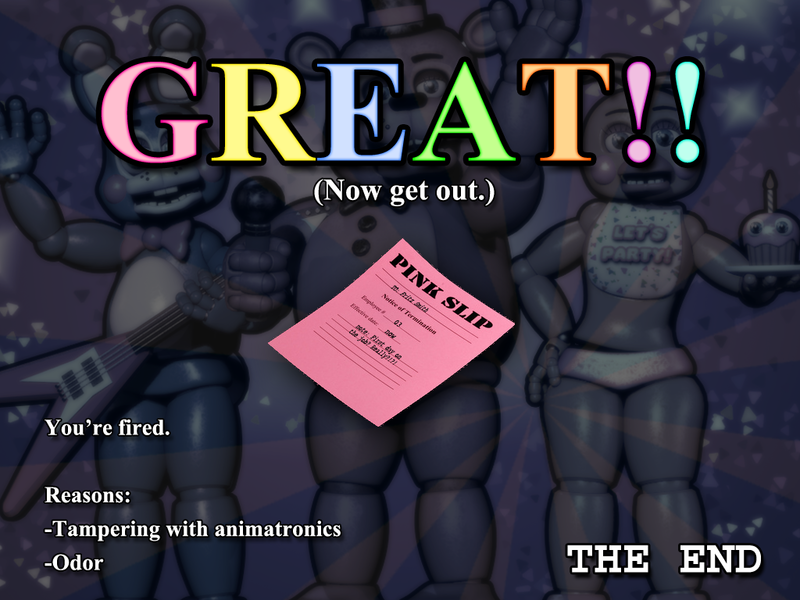 The new animatronics will be scrapped due to possible malfunctions, however the original characters are being kept in hopes of a possible reorganization of the company. 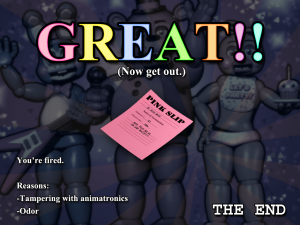 “It’s a minor setback. 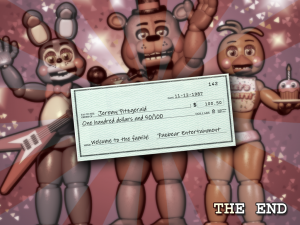 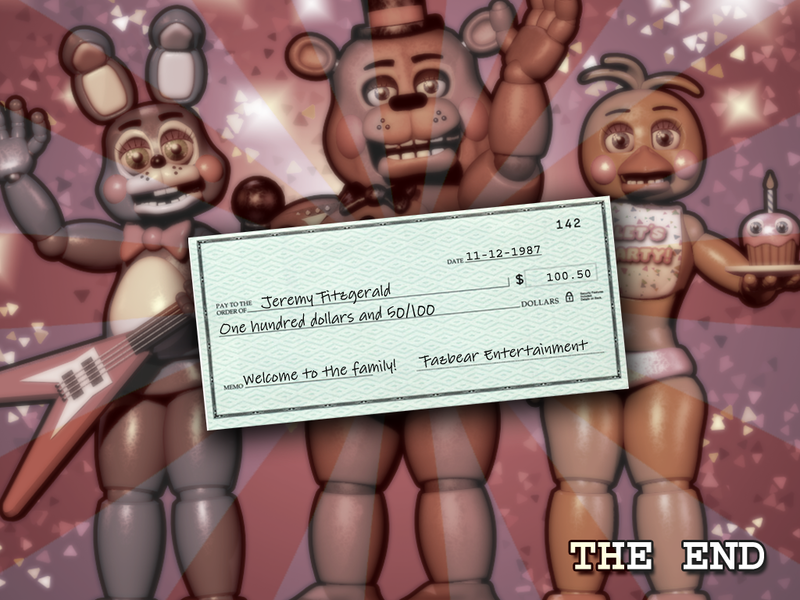 We are confident that we will reopen someday, even if it is with a much smaller budget.” -CEO Fazbear Ent.